Dialogue update for To-Jyo dialogue (waist is broken -> hip is broken) to To-jyo's Hut (pup_land/s_f/to-jyo) in Pup Land. Typo correction in message text to Shining Tower Special (pup_land/s_f/special) in Pup Land. No functional changes. Give NPC woman a name (instead of ???) in Shining Tower Secret (pup_land/s_f/secret). Content updates to ruin keeper's dialogue in Ancient Ruins (pup_land/s_f/ruin). Punctuation and pluralization correction in message text to Ancient Ruins, Upper Level (pup_land/s_f/floor2) in Pup Land. No functional changes. Grammar changes to sign text in Ancient Ruins, Cave (pup_land/s_f/cave1) in Pup Land. No functional changes. Word spacing and punctuation corrections to message text in To-jyo's Hut (pup_land/s_f/to-jyo) in Pup Land. Word spacing corrections to message text in Shining Tower, Floor 7 (pup_land/s_f/st7) in Pup Land. Word spacing corrections to message text in Shining Tower, Floor 6 (pup_land/s_f/st6) in Pup Land. Typo correction in sign text (Floo r3. -> Floor3.) to Shining Tower, Floor 3 (pup_land/s_f/st3) in Pup Land. Capitalization, punctuation and word spacing corrections to message text in Shining Tower Special (pup_land/s_f/special) in Pup Land. Capitalization, punctuation and Word spacing corrections to message text in Shining Tower Secret (pup_land/s_f/secret) in Pup Land. Word spacing correction to message text in Ancient Ruins (pup_land/s_f/ruin) in Pup Land. Removed forced line breaks and word spacing corrections to message text in Kira's Place (pup_land/s_f/Kira) in Pup Land. Word spacing correction and puncutation update in message text to J.Griffin's Hut, Upstairs (pup_land/s_f/ki2) in Pup Land. Word spacing corrections and puncutation update in message text to J.Griffin's Hut, Mainfloor (pup_land/s_f/ki) in Pup Land. Capitalization and puncutation update in message text to Ancient Ruins, Main Floor (pup_land/s_f/floor1) in Pup Land. Cosmetic change to To-jyo's Hut (pup_land/s_f/to-jyo) in Pup Land. Added fence (swall) sections for nicing merging with nearby walls. No functional changes. Grammar update (You done -> You're done) to Shining Tower, Level 7 (pup_land/s_f/st7) in Pup Land. Cosmetic change to Shining Tower, Level 7 (pup_land/s_f/st7) in Pup Land. Added fence (swall) section for nicing merging with nearby wall. No functional changes. Instructional text clarification to Shining Tower, Level 6 in Pup Land. Cosmetic change to Shining Tower, Level 5 (pup_land/s_f/st5) in Pup Land. Added fence (swall) sections for nicing merging with nearby walls. No functional changes. Cosmetic change to Shining Tower, Level 3 (pup_land/s_f/st3) in Pup Land. Added fence (swall) section for nicing merging with nearby wall. No functional changes. Removed line breaks in message text to To-jyo's Hut (maps.svn/pup_land/s_f/to-jyo) in Pup Land. Removed line breaks in message text to Shining Tower, Level 7 (maps.svn/pup_land/s_f/st7) in Pup Land. Removed line breaks in message text to Shining Tower, Level 6 (maps.svn/pup_land/s_f/st6) in Pup Land. Removed line breaks in message text to Shining Tower, Level 1 (maps.svn/pup_land/s_f/st1) in Pup Land. Cosmetic change to Shining Tower Special (pup_land/s_f/special) in Pup Land. Added fence (swall) sections and changed awall sections for nicing merging. No functional changes. Removed line breaks in message text to Shining Tower Special (maps.svn/pup_land/s_f/special) in Pup Land. Removed line breaks in message text to Shining Tower Secret (maps.svn/pup_land/s_f/secret) in Pup Land. Archetype correction to J.Griffin's Hut, Mainfloor (pup_land/s_f/ki) in Pup Land. Revert arch back to charwoman (which is correct, broke in r16289) but updated the name to chairwoman instead. Cosmetic change to Ancient Ruins, Main Floor (pup_land/s_f/floor1) in Pup Land. Added another fence (swall) sections for nicing merging with nearby wall. No functional changes. Cosmetic change to Shining Tower (pup_land/s_f/cave2) in Pup Land. Replaced blocked sections with solid cave wall sections. No functional changes. Cosmetic change to Ancient Ruins, Cave (pup_land/s_f/cave1) in Pup Land. Added more fence (swall) sections for nicing merging with nearby walls. No functional changes. Removed line breaks in message text to Ancient Ruins (maps.svn/pup_land/s_f/ruin) in Pup Land. Removed line breaks in message text to Kira's Place (maps.svn/pup_land/s_f/Kira) in Pup Land. Removed line breaks in message text to J.Griffin's Hut, Upstairs (maps.svn/pup_land/s_f/ki2) in Pup Land. Typo correction (charwoman -> chairwoman) to J.Griffin's Hut, Mainfloor (maps.svn/pup_land/s_f/ki) in Pup Land. 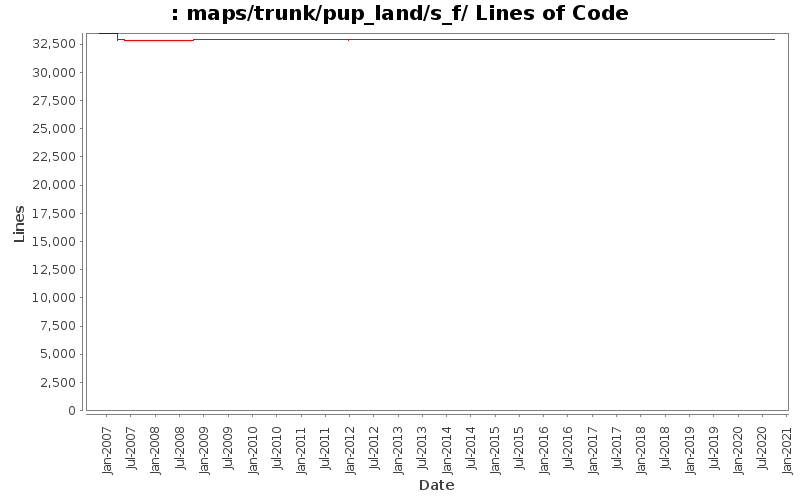 Removed line breaks in message text to J.Griffin's Hut, Mainfloor (maps.svn/pup_land/s_f/ki) in Pup Land.